Client concentration risk is significantly lower now with a diversified product portfolio. Estimated HK$500m of strategic assets for M&As, with little risk to dividend payout. Capacity is not an issue for Valuetronics' near-term growth, in our view. We like the stock for its earnings outlook, 4.4% dividend yield and undemanding 10.4x CY18 P/E. Maintain Target Price of S$1.02 (11.9x CY18 P/E, 5% discount to industry average). Reiterate our Add call post NDR. Post its NDR, we continue to like the stock for its 3-year EPS CAGR of 15.3%, decent 4.4% dividend yield and undemanding valuation of 10.4x CY18 P/E (6.5x on ex-cash basis). Reiterate Add. While Valuetronics used to depend heavily on a single customer, supplying mass-market LED lighting and consumer lifestyle goods to a Dutch MNC, such a concentration has reduced significantly when the company made a strategic decision to exit the less-profitable LED lightbulbs and successfully penetrate into the automotive (AU) sector. Four major customers, representing different industry segments, contributed to c.60% of its FY17 topline, vs. two customers that generated 66% of its FY13 revenue. We expect the robust sales momentum to sustain after the 1QFY18 results beat (+71% yoy, +22% qoq), underpinned by double-digit revenue growth in wireless light bulbs, transaction printers and AU connectivity modules. Recent qualification by 2nd AU OEM should translate into earnings contribution from FY19F onwards; while rising global adoption of smart home lighting and diversification to other product types with existing AU client are potential longer-term drivers. 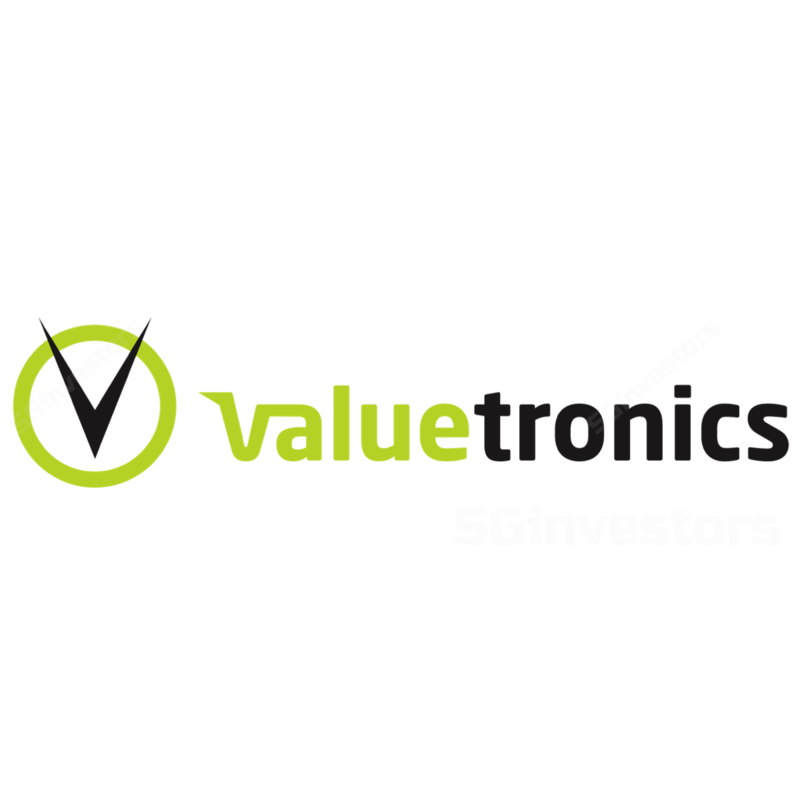 An electronic manufacturing services (EMS) provider that operates in consumer electronics (CE) and industrial & commercial electronics (ICE) segments, Valuetronics has a diverse customer base whose sales mix continues to improve over the years. There are 15 major clients that each account for at least 3% of its total revenue. While four of these customers contribute c.60% of its FY17 topline, they represent different industry segments, specifically consumer lifestyles, smart lighting with IoT features, transaction printers and automotive. The company also continues to be in talks with potential new customers, hence mitigating customer concentration risk. The company recorded HK$719m in net cash (HK$814m if including AFS investments) as of end-1QFY18, making up c.35% of its market cap. Apart from working capital requirements of HK$200m, Valuetronics is equipped with at least a HK$500m war chest for synergistic M&A opportunities. geographical presence extension, would most appeal to the company. Backed by more than 10 years of organic growth and an experienced leadership team (including a more mature second-generation management), the company is now poised to actively pursue inorganic expansion. We also see little threat from potential inorganic growth plans to its 30-50% dividend payout ratio, as Valuetronics’s internally-generated cash of HK$200m per year (on average over the past 5 years) should be sufficient to support its annual dividends of HK$90m-95m going forward. Despite a current 80-90% utilisation level for its production lines, we do not see this as a key capacity constraint given that the purchase of machines is not too expensive and typically requires 3-4 months’ lead time. In terms of production floor area, the company still has 25% idle space which should accommodate any capacity expansion for the next 12-18 months, according to management. Increasing automation efforts will not only help improve efficiency and reduce manpower needs, but also possibly replace 3-4 old production lines. Moreover, Valuetronics has an unused plot of land at its existing Daya Bay facility. Management estimates that construction of a 5-storey building at the empty site will take about 1 year and HK$100m of infrastructure costs, should the need arise. Maintain Add on the stock with unchanged target price of S$1.02 (pegged to 11.9x CY18 P/E, 5% discount to industry average). Valuetronics currently trades at 10.4x CY18 P/E with a 15.3% 3-year EPS CAGR, vs Venture Corp’s 16.6x P/E and 22.7% CAGR. It is however trading at a 15% discount to peers which exhibit weaker earnings profiles. We believe the earnings contribution of its 2nd AU OEM would be the key catalyst, while downside risks could stem from order pushback or cancellation.